In 1975, about 50 women living in Calaveras County, California, decided that, along with the rest of the Nation, they would do something special to celebrate the upcoming bicentennial birthday of our Country. 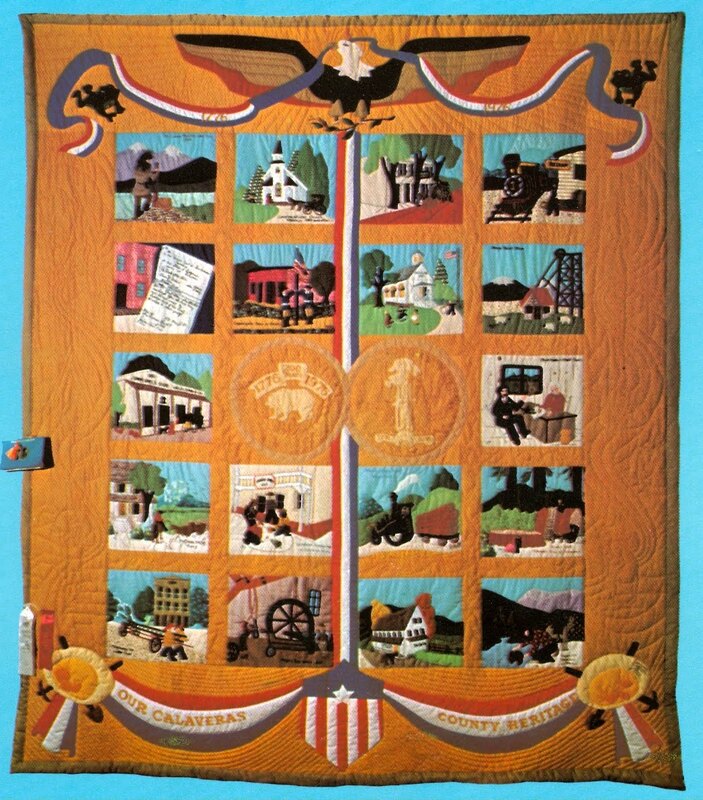 They designed and completely hand made a quilt representing Calaveras County’s colorful history by creating 18 blocks depicting historic scenes, plus the County and State seals. The indigenous native culture was represented in the quilting designs on the borders. When the quilt was finished in June, 1976, the women so appreciated their beautiful creation, their sense of accomplishment and their many new found friends that they decided to form a quilters’ guild. The group chose the name “Independence Hall Quilters” in honor of the Philadelphia landmark as well as the name of the local hall that was their meeting place. The Independence Hall was an old school building no longer used as such, that had been refurbished and was, and still is, serving as a community center.